UPDATED- Thank you for everyone who download the guide, we had an increase of over 185% over the 2010 guide, so thanks to each and everyone of you. 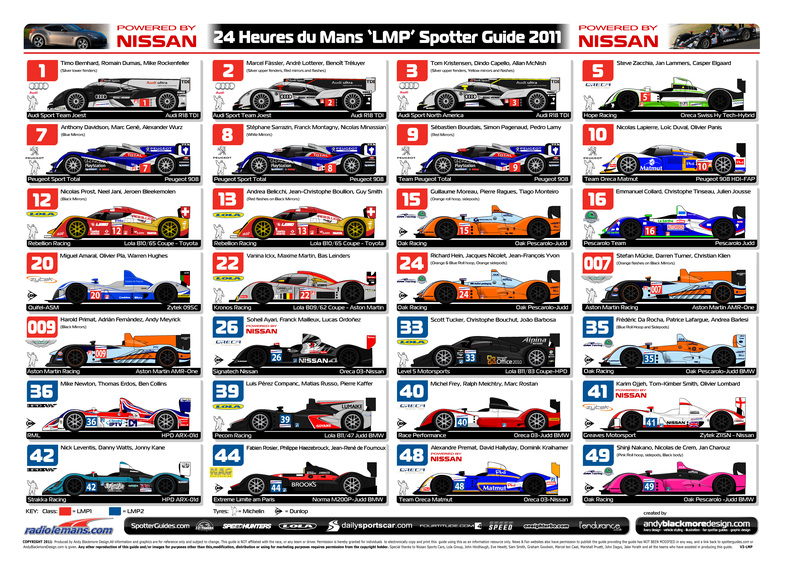 Special thanks to Nissan Sports Cars (Europe), RadioLeMans.com and Lola who helped make the guide possible this year. 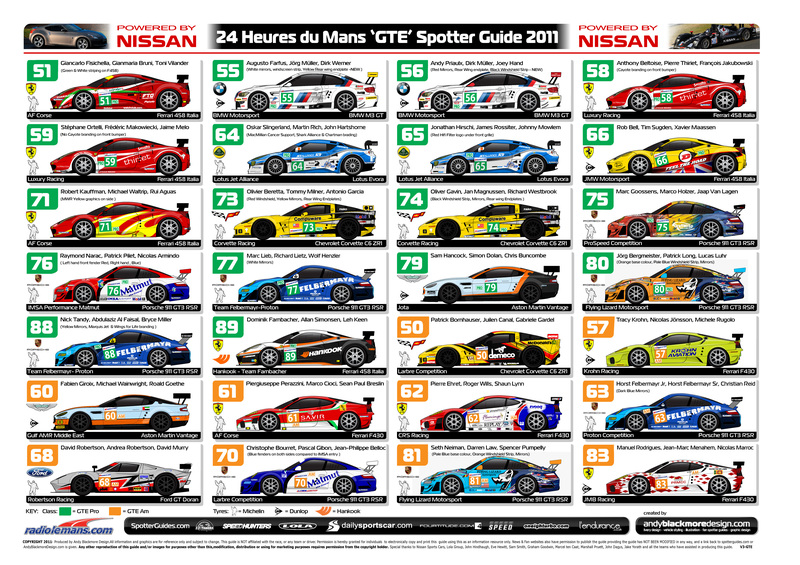 The Spotter Guide has been updated following the final day of Scrutineering and now has all 56 liveries, driver, team car and tyre combinations for this year’s race. I have also added new formats of the guide to cater for people at the track, by request. The guide is available on Two Pages (4000pixels wide) to ensure cars and details are readable. These are produced in high resolution for printing. Please allow time to download these large JPEGS. Click on the Images below to download. A Two Page PDF is available which is suitable for the iPad and some iPhones. You should be able to view this via Safari or iBooks. 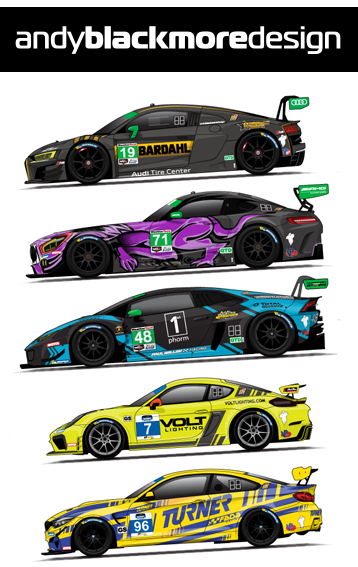 This guide was made possible by many teams who assisted in supplying liveries in advance. I would like to say a special thank you to Nissan, Radio Le Mans, DailySportscar.com, Flying Lizard Motorsport and Lola-Group who went the extra mile to help this year. Thanks also go to our other partners this year, Ten-Tenths.com, SPEED.com, Fourtitude, Speedhunters, l’endurance and Oneighturbo.com. You can also follow updates via Facebook (see link on left hand side), or our partner websites. Thank you to everyone who has supported this guide, re-tweeted and posted on Facebook. Download numbers are amazing and an increase on the previous two years. June 6th – 0750 BST – Updated with liveries from Day 1 of Scrutineering & some other sightings! If you intend linking to the guides then please respect the efforts of Andy and Spotter Guides and link to this page, not directly to the guides. You are welcome to host the guide on your own website, providing the guide is NOT modified in any way and a link back to this page is used. No reproduction for fiancial gain or PR usage without prior consent from Andy Blackmore Design. If you are having a problem printing the guides, save the file and open it in a Graphics Program such as Photoshop, Adobe Acrobat Professional , Corel, MSPaint. Select Scale to Fit from the Print menu.